Archive from category "Air Conditioners Maintenance"
Maintenance is an essential part of ensuring that your air conditioner will last. The air conditioner’s filters, coils, and fins require regular support for the unit to function effectively and efficiently throughout its many years of service. Call (07) 3285 7944 & ask about our maintenance services. Looking for some air conditioning summer tips to save you money and keep you cool? Air conditioners are an excellent way to stay cool in Brisbane’s hot summers but they also come with an inflated electricity bill. How do you manage your bill while keeping cool? Here are our top air conditioning summer tips. Air conditioning units attract a lot of dust, allergens, and debris and if they are not cleaned regularly, they will not perform at their best. Your air conditioner ends up working harder to keep the space cool, which increases wear and tear. Dirty AC units can also present a health hazard. You can call air con Brisbane experts such as the Air Conditioning Advisory Centre to clean your air conditioner, replace the filters and make any repairs. At the height of summer it may be tempting to keep your air conditioning running all through the night. However, air is usually much cooler at night and you can take advantage of any night breeze by leaving your windows open. If you do not fancy keeping your windows open, then a ceiling fan or a standing fan may do the trick. Fans will cool your room at night for a fraction of the cost. Alternatively, you can increase the temperature of your AC unit a couple of degrees at night. Do you find that your space takes too long to cool? It may be that cool air is escaping through cracks or openings such as doors and windows. While keeping doors and windows closed when cooling a room certainly helps, you will need to check for any cracks and gaps and seal those. You can also add insulation to the air conditioning ducts. While looking for an AC unit that will deliver optimal cooling, bigger is not always better. The more powerful the air conditioner is, the higher the energy usage. It is important for you to think through your needs beforehand to ensure you get the right size unit for your needs. For example, how many rooms do you want to cool? Do you live in a two-bedroom apartment or a multiple storey? These are factors that will help you get the right AC for the job. You can consider long-term solutions such as planting trees near the house to help shade your home from the scorching sun. You can also install other insulation in your home to keep it cooler. 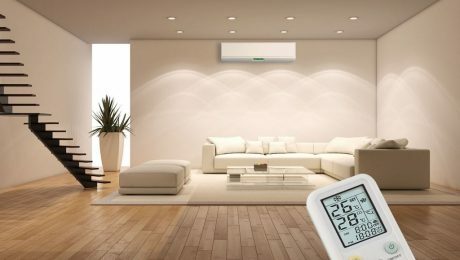 The Air Conditioning Advisory Centre is your air con Brisbane expert providing a wide range of air conditioning services for commercial and residential properties. You can rely on our expertise in air conditioning installation, servicing, maintenance, repairs, and replacement. Contact us today for all of your air conditioning needs. Air conditioning units become faulty for all sorts of reasons from poor installation to inadequate maintenance or they just grow old and need to be replaced. Whatever the reason may be, at some point in time you will need to call in experts in air conditioning repairs Brisbane Northside. We are always looking for ways to save a dollar here and there and you may feel inclined to call a handyman to have a look at your faulty AC. This can be a costly move. Firstly, air conditioners involve handling refrigerants, which can prove harmful if mishandled. There are strict safety regulations in place for handling of refrigerants and only those who have been certified should carry out any work involving a refrigerant. Secondly, you may void your warranty by having an uncertified person handle your AC and thirdly, poorly done repairs can go wrong and make the situation worse. Hiring an air con Brisbane expert eliminates the above risks and ensures your air conditioning unit is repaired safely and efficiently. 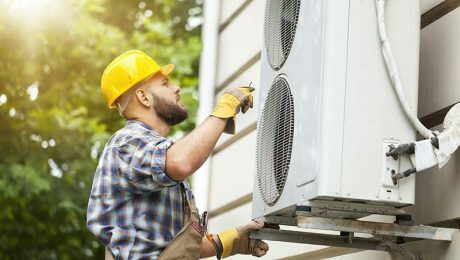 For a business to offer air conditioning services in Brisbane and Australia they need certification from the Australian Refrigeration Council (ARC), which shows that they understand and follow regulations especially with the handling of refrigerants. The business will also be insured meaning any losses you suffer from the work they do can be recouped and your warranty will remain intact. We handle repairs for various brands including Daikin, Mitsubishi, and Carrier and when repairs are no longer practical, our technicians will advise you on and recommend a replacement option. 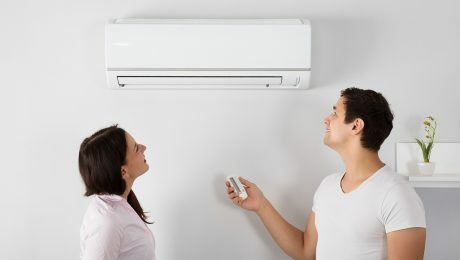 Have your AC serviced by an air con Brisbane professional once a year, but no less than once in two years. Ensure the outdoor unit is protected from the elements and doesn’t get clogged with leaves, grass, dust or other debris. Do you need an air con Brisbane expert today? We are your go to expert in air conditioning repairs Brisbane Northside. With heat steadily rising, you may find yourself looking for ways to manage your electricity bills. While most people have other cooling systems in their homes, it is usually not the most affordable option to combat the heat. Air conditioners aren’t only affordable; they are also very efficient when it comes to energy usage. A/Cs can fit easily into your home and are available in a wide range to accommodate all home sizes. 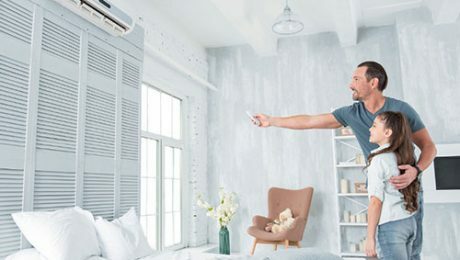 There are so many cooling options available on the market today, so you may be wondering why you should consider an Air conditioning unit. To help you figure out the right choice, here are 7 reasons why A/Cs are the best for you. One of the advantages of buying an A/C unit is that they are affordable. In addition to being inexpensive to purchase, they are also affordable to operate on a day-to-day basis. The overall cost of an A/C unit will, however, depend on the capacity and features that come with it. On average, a good A/C unit will cost you somewhere around $300-$500. If you want your home to remain cool for a long time with minimal damage to the cost of energy, an A/C unit is your best option. To further enhance your search, look out for units that have been Energy-Star certified. The installation process for an A/C unit is very easy. Although the process of installation may differ from one type to the other, it is usually very straightforward and can be accomplished easily. You can decide to install your A/C yourself by following the instructions in the pack or hire an HVAC professional to help you. A/C units can be used in so many different places in and outside your home. You can use it in a non-permanent housing, and take it along with you when you move. It can be used in rooms in your homes, bedrooms, kitchen, study, gym, theatre, etc. You can also use them in your offices as well. There are so many brands of air conditioners available to you on the market today. While some of these brands may be more efficient and have longer life than others, it is important to know that they all have the same function, which is to cool a space. 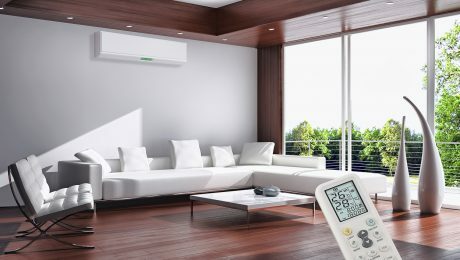 Some of the popular A/C brands include Mitsubishi, Daikin, etc. There are so many features that come with A/Cs these days. Some of these features might seem frivolous to you, but others have the need for them. These features also range from one A/C type to the other. Some popular features include timer, filter type, fan speed, air direction control, remote, etc. A/Cs do not take up so much space in your room. While some A/Cs are bigger than others, they are typically designed to take as little space as possible in a room. Whether you live in a small apartment or a mansion, an A/C will take the least amount of space possible. Having an air conditioner is a must especially during the summer period. As important as this fixture is, a lot of homeowners do not understand how they work. Having a little bit of knowledge about your A/C can help you perform some preventive air conditioning maintenance practices that keep your unit working optimally. Here are a few tips that will help you extend the life of your A/C. The condenser unit of your A/C should be cleaned regularly. It is usually outside your home, and end up most times gathering debris, dirt and any other particles, which are then blown by breeze around your house. To clear the unit out, use a coil cleaner, flush the coil out and allow it to dry. Finally, you can clean the fins of the condenser with a brush. From time to time, take a look at your A/C’s evaporator. You can find it above the furnace area which is known as the plenum. If you can access the evaporator by yourself, ensure that you clean it out regularly. Experts’ advice that you perform a thorough cleaning of your evaporator, at least once a year. This will help extend the life of your A/C. To clean the evaporator, remove the foil from the front of the plenum, remove the screen or buts and lift the plate off. Use a damp cloth or rag to wipe away the dirt from it, as well as any other build up from the bottom side of the evaporator. You can also use a bush to do this. What cools your home in an A/C is called the Freon. Any unit that lacks this component will not be able to cool your home. Ensure that your unit has enough Freon in it. If you feel that there is a problem with the Freon level of your A/C, contact a professional technician to help you check it out. At the beginning of every summer, make sure you remove the grill of your A/C. You can clean it or replace it entirely. Also, make sure you check it at least once every month. If you stay in an area that is elevated and receives more than normal amount of wind, sand or dust, you should clean and replace your filters more frequently than others would. Your A/C has fans that cool it while it is working. Take a look at the fans and see if they are dirty. If there are any residues or dust on it, or if the blades are askew, fix it before it becomes a problem. Open the cabinet to access the fan, and then use a damp cloth to clean it. If the blades are loosened, tighten them in place. Also, if the fan has oil ports, drop a few drops of non-detergent motor oil in them at the beginning of every summer. This will help system operate at its greatest efficiency. One of the main reasons why the domestic air conditioner packs up is because homeowners simply don’t notice the warning signs. As a homeowner, once you know what to look for, it’ll help stop further damage in the future. An air conditioner is expensive to replace, so it’s important that you look after it, so that it lasts for as long as possible. It is really not that difficult to tell when your air conditioner might be failing. Most people notice the signs sometimes, but then they usually think it’s in their head. Most people just wait until the air conditioner packs up before calling for it to be repaired. Outlined below are 5 signs that your homes air conditioner might be failing. You may find out that your A/C unit is not cooling enough, even when you put it on full blast. This is usually one of the tell-tale signs that your unit is in need of service or repairs. It can mean that the unit’s compressor has failed, or that the Freon level is too low. A qualified technician will help you identify the cause, and fix it before any further damage your unit. Your unit might be in need of service & repairs if you notice weak or poor air flow through the vents. This may also mean that the compressor of your air con unit is failing. If you notice that some rooms are receiving cold air and others aren’t, the problem might be from the duct, which means your unit needs to be repaired. To fix this problem doesn’t cost that much, but the resulting damage can cost you so a lot more. When there is moisture or leakage around the area where your air conditioner is, might be an indication of a problem. Moisture or leakages can be as a result of either the refrigerant leaking which can pose serious problems to the home & your family, or the drain tubes that dispose of the unit’s condensation are broken or blocked. This problem can be tackled easily, so address it as soon as you notice it. If you start to notice strange or foul smells when your air conditioner is turned on, it most likely means that your air conditioner’s insulation wire has burnt out. If you notice a musty smell, it most likely means that a mold has grown inside your air conditioner, which must be taken out immediately, to prevent irreparable damage to your air con unit. When you hear certain strange sounds coming from your air conditioner, it means that there is a problem somewhere. Grinding, squealing or grating sounds from your air conditioner might be a sign that you need to repair the whole A/C unit because there is something seriously wrong with the unit. Failure to service the unit as soon as you notice any strange sounds will eventually result in a total breakdown, which will cost you a lot more to fix or replace.